Rising labor costs in China have been putting pressure on foreign investors in recent years, forcing corporations to either cut down staff size or reallocate to other countries with cheaper labor. The annual rates of increase from 2011 to 2015, despite slowing down, have exceeded production rates by more than 200 percent and have significantly affected China’s investment climate. Unlike the 12th Five Year Plan, which pushed an annual 13 percent increase for minimum wages across China, the 13th Five Year Plan addresses the need for more reasonable wage levels and introduces a controlled mechanism for wage adjustment. Through a much decreased growth of minimum wage levels and stable wage adjustments, the 13th Five Year Plan aims to improve the competitiveness of enterprises in China by shortening the wage difference with other developing economies, partly in order to create stronger incentives for foreign investors to remain in or enter China. Against the backdrop of these changes, here we provide a comprehensive list of minimum wages across China for 2016 and highlight some of the major changes to the Chinese labor market. China’s national resource tax reform will comprehensively come into effect on July 1, 2016. First introduced in 1984, the resource tax originally applied to crude oil, natural gas, coal, and other mineral resources based on their quantity and weight. Since then it has expanded its breadth, with provisional regulations issued in 1994, and a resource tax reform initiated in 2010. The reform further expanded the tax scope and started to levy the tax based on each resource’s price instead of quantity on crude oil, coal, natural gas, rare earth, molybdenum, and tungsten. The ad valorem taxation method was implemented to standardize the interaction between resource taxes and administration fees in order to establish a fairer and more efficient resource taxation system. However, the reform has gradually increased the production costs for mining enterprises, particularly for foreign ones, as the price of natural resources has been progressively hiked over the past few years in China. The country’s income from resource tax has been at the highest in the last 10 years of its 30 years of existence, with an annual increase of 27 percent. India’s 2016-2017 Union Budget provides a significant outlay for infrastructure expenditure. This spending is seen as a key component of the government’s plans to boost India’s growth levels to projections ranging between 7 and 9 percent. The allocation of US$ 32.41 to US$ 32.70 billion (Rs 2.19-2.21 lakh crore) and a newly liberalized foreign direct investment (FDI) policy further underline the government’s commitment in this regard. The Indian Insolvency and Bankruptcy Code, 2015 passed a critical milestone last week when the upper house of Parliament, the Rajya Sabha, passed the bill with no changes. The bill is now waiting to be signed by India’s President Pranab Mukherjee. Once signed, it will be India’s first comprehensive bankruptcy and insolvency framework and is expected to promote entrepreneurship, increase availability of credit, and balance the interests of stakeholders by consolidating and forming new laws relating to reorganization and insolvency resolution. The new framework is widely seen as a critical juncture in India’s ability to compete in the international business arena. Indian officials hope that its implementation will lead to improved ease of business rankings from the World Bank. While the bill reforms domestic bankruptcy law, it also sets the framework for developing an effective system for addressing cross-border insolvencies in India. Visiting to bolster economic ties, President Barack Obama’s visit gives prominence to the achievements being made in the Vietnamese economy. In his own words, “We see Vietnam’s progress in the skyscrapers and high-rises of Hanoi and Ho Chi Minh City”. As Vietnam has reformed, so has trade between the two countries, totalling US $45 billion in 2015. The trip is part of Obama’s efforts to promote the U.S.’s pivot to Asia in the form of the TPP, with Vietnam being a linchpin to the Asia rebalance. With slowing economic growth and rising labor costs encroaching on the profitability of traditional Chinese manufacturing operations, Vietnam has a emerged as a destination of choice for its low costs, receptive governance, and increasing integration with key trading partners. Conjoined, these factors have and will continue to grow Vietnam as a hotbed of manufacturing and position the communist nation as an ideal location for China-plus one oriented production. 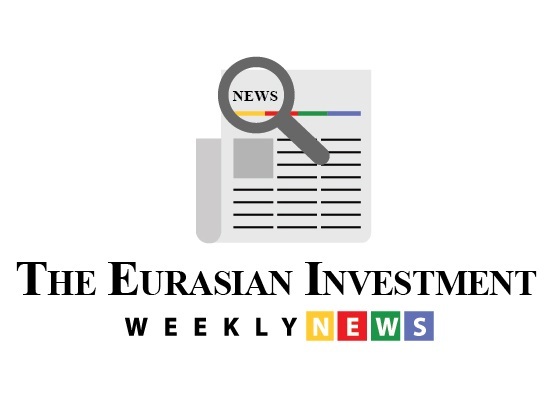 In light of recent Free Trade Agreements, notably the Trans-Pacific Partnership and FTA with European Union, Vietnam is well positioned to allow investors to utilize its cheap workforce and close proximity to existing Asian based supply chains. Recent events have seen significant movement in tax and financing regulation within the Mekong region. Read more for analysis on Thailand’s Business Collateral Act, Myanmar’s Union Tax Law of 2016, and Cambodia’s most recent guidance on VAT invoicing. The Asia Sourcing Guide 2015 In this issue of Asia Briefing, we explain how and why the Asian sourcing market is changing, compare wage overheads, and look at where certain types of products are being manufactured and exported. We discuss the impact of ASEAN’s FTAs with China and India, and highlight the options available for establishing a sourcing model in three locations: Vietnam, China, and India. Finally, we examine quality control in each of these markets. 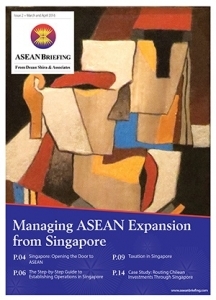 Managing ASEAN Expansion from Singapore For the second issue of our ASEAN Briefing Magazine, we look at the benefits of using Singapore a hub for the management of regional operations throughout ASEAN. We firstly focus on the position of Singapore relative to its competitors, such as the Netherlands and Hong Kong. We then provide step-by-step instructions on corporate establishment, and provide expert insight on maximizing returns through the reduction respective tax burdens. The 2015 Asia Tax Comparator In this issue, we compare and contrast the most relevant tax laws applicable for businesses with a presence in Asia. We analyze the different tax rates of 13 jurisdictions in the region, including India, China, Hong Kong, and the 10 member states of ASEAN. We also take a look at some of the most important compliance issues that businesses should be aware of, and conclude by discussing some of the most important tax and finance concerns companies will face when entering Asia.